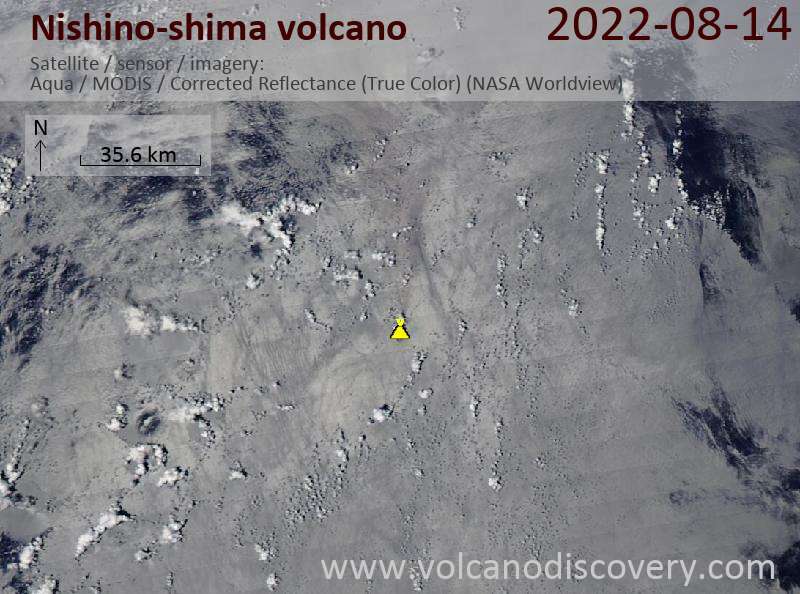 The eruption that had started in Nov 2013 still continues with no significant changes. 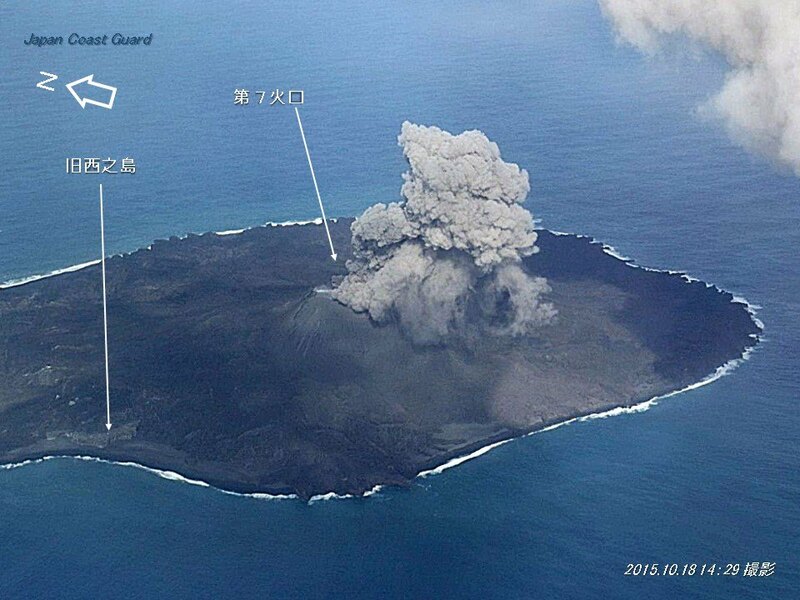 During the most recent survey on 18 Oct by the Japanese Coast guard, strombolian activity was observed at the central vent, but lava flows no longer reached the coast of the young island, which is being affected and modified by wave erosion. 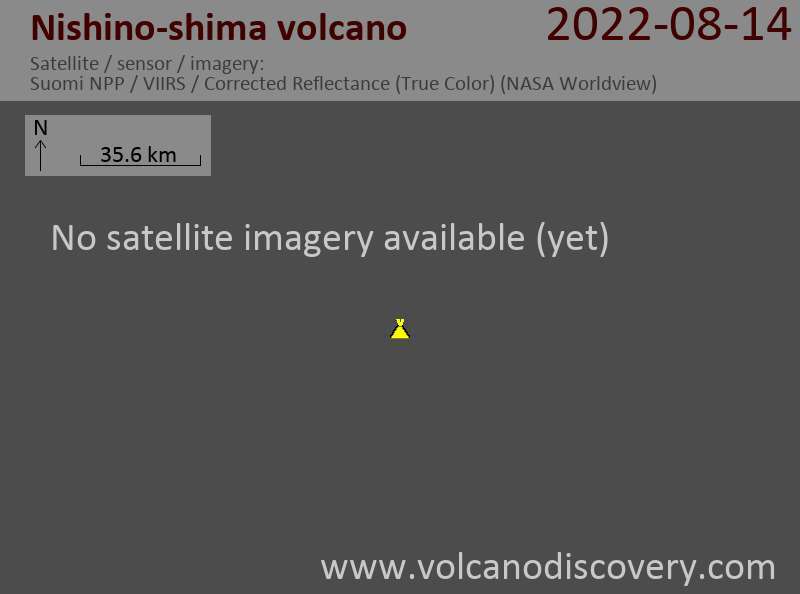 According to a bathymetric analysis conducted between June 22 and July 9, the total lava volume erupted so far is approx. 160 million cubic meters, of which 74 million m3 are under sea level.